From the World Health Organization to the American Pediatric Association, the scientific consensus is clear: babies should be breastfed for at least one year. Despite the APA’s reports of breast milk’s “protective effect against respiratory illnesses, ear infections, gastrointestinal diseases, and allergies,” in America only 30.7 percent of infants are breastfed for 12 months. Mothers who cannot breastfeed due to health reasons or work constraints have asserted a large demand for breast milk that is simply not being met. On the other hand, a large number of mothers who do breastfeed overproduce milk, leading to a large supply that is being needlessly wasted. This divide between breast milk’s supply and demand is because it is a matching market, which is, as Nobel prize-winning economist Al Roth puts it, “a market in which prices don’t do all the work.” Currently, nonprofit milk banks and online transactions pick up some of the slack, but satisfy only a mere fraction of the market. Nonprofit milk banks get their milk from donations and subject it to rigorous screening, testing, and pasteurization processes. While such stringent protocols may be crucial for preterm or immune-compromised babies, they are not necessary for the average healthy baby and rack up prices to an average of $3 to $5 per ounce. Given that a six month-old baby consumes around 30 ounces a day, this is a significant financial burden for most families. 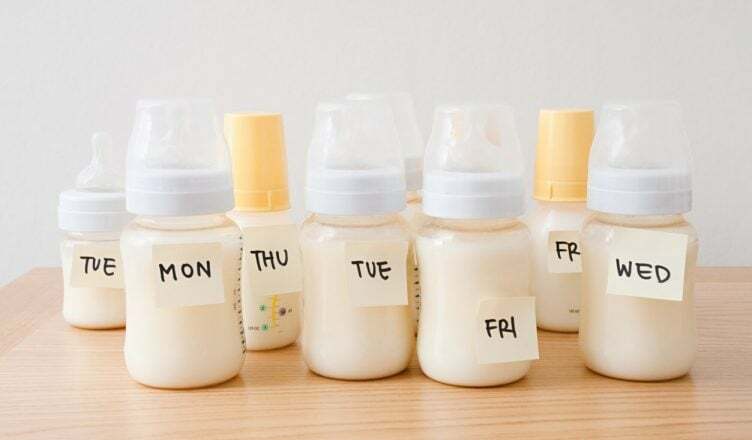 If a parent is willing to assume the risk of purchasing completely untested milk, online alternatives such as Only the Breast offer far cheaper prices ranging from $1 to $2.50 per ounce. However, there is no regulation on the online sale and purchase of milk, making it more than understandable that it has not reached anything close to mass-market levels. The sale and purchase of breast milk would help far more people than just babies. It would help a new mother make ends meet by allowing her to sell some of her surplus milk and simultaneously help a working mother from having to choose between the nutrition of her children and advancing her career. Motherhood is hard enough. Worries about providing breast milk to one’s child is something that can and should be avoided.